There are times when you might like to reuse certain custom elements or diagrams that you’ve created in Cacoo. Fortunately, in addition to saving as a diagram, Cacoo gives you the option to save what you’ve created as a stencil or template. By default, your file type is "Ordinary diagram." 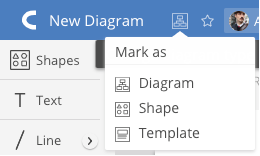 Set it to Shape when you create an object you wish to use again in your diagrams, or Template when you are creating a base for your diagram (for example, a particular flowchart layout) that you wish to use again. Press ⌘/Ctrl+S to Save. This will make the saving dialogue pop up. For a template, switch “Type” from “Ordinary diagram” to “Template." Click this icon, then select the proper diagram type from the menu. 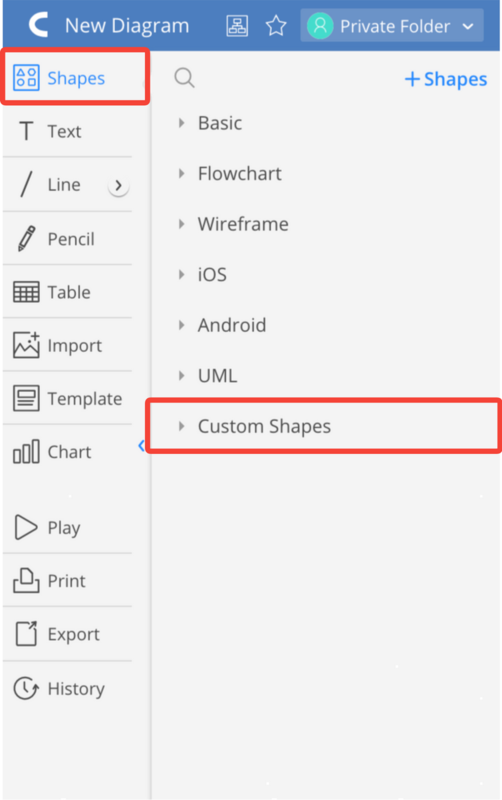 You will be able to drag and drop your original shape onto the sheet, just as you would do with any other shape. Select the template and it will appear within the Editor, just as any other template would.